Given EE’s massive head start over the competition, its 4G network is coming on leaps and bounds. And today, EE has announced new mobile broadband tariffs, released three new 4G mobile broadband devices, plus a new own-brand tablet. EE’s 4G coverage now covers 2,588 villages and small towns around the UK (many with populations of well under 10,000 – such as Silverburn in Scotland with just 65 people), following the second phase of its roll out. Meanwhile, the current ‘Double Speed’ network is being doubled in size to 40 towns and cities by the end of 2014. Coverage is also a priority on areas of high-usage, such as airports, roads, railway lines and stations. EE announced that it has 47 major train stations covered, and 22 of the busiest airports. Coverage of the M25 London Orbital motorway and the M62 exceeds 80%. EE is now connecting more people to 4G plans than 3G on its ‘legacy’ Orange and T-Mobile brands. Data usage is now up 66% as people watch more television and video, and other data intensive tasks, on the move. Buzzard (£49.99 on PAYG and cheaper on contract) is an in-car device that connects to any 12v cigarette lighter socket, sharing a data connection with up to ten devices. It comes with a storage container designed to sit in a cup holder. Kite (£69.99 on PAYG and cheaper on contract) is a more traditional portable hotspot, while Osprey is a more rugged and colourful device selling for £49.99 on PAYG (and cheaper on contract). 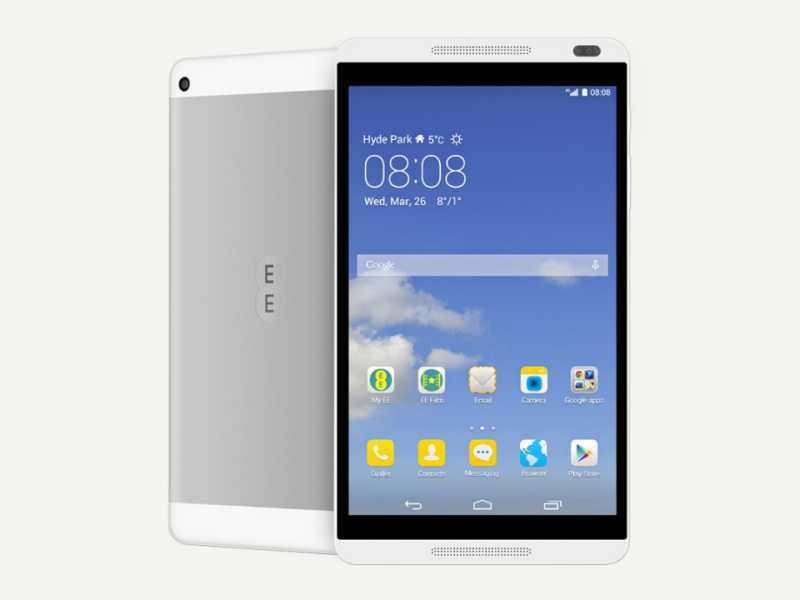 There’s a new tablet too, a rebadged Huawei unit called Eagle, available for £199 on PAYG or £49.99 on a two-year contract with a monthly plan of £15 or above. LONDON 21 May, 2014 – EE, the UK’s most advanced digital communications company, today unveiled the next phase of its world class 4G service, including rapid network expansion and the launch of new 4G plans and devices. The company will dramatically improve accessibility of superfast mobile internet across the UK, and set a new benchmark for the 4G user experience. The move comes as EE 4G customer numbers hit 3.6 million and sales of EE 4G plans outstrip 3G for the first time, representing a tipping point for the business. 4G is rapidly changing mobile behaviour, with customers increasing their data usage by 66% in a year – watching more television and video, working, banking and shopping on the go. Olaf Swantee, CEO of EE, said: “With more experience of 4G than any other UK operator, we have unique insight into how the technology is changing behaviour. Our mobile devices have effectively become mini TVs with video traffic already making up over half the data on our 4G network. EE is accelerating network rollout in rural areas and on transport routes, as well doubling the footprint of its unique double speed network, meeting the growing demand for consistently fast speeds across the busiest areas of the UK. EE is bringing the UK’s fastest network to 2,588 villages and small towns with populations under 10,000, including many rural areas. From Silverburn in Scotland with less than 65 people, to Aberdulais in South Wales with 500, more than three million people in rural areas now have access to a mobile network to rival the UK’s largest cities. Businesses and residents in many of those rural areas of the UK will now have access to high speed internet in the home or office for the first time, with 4G speeds often faster than the fixed line connection they previously depended on. In addition to residential zones, EE is focusing on areas of high usage, including airports, roads, and train lines and stations. 47 major train stations and 22 of the busiest airports, from Bournemouth to Aberdeen, are now 4G-enabled, along with upwards of 50% 4G coverage on 50 of the busiest motorways and A-roads. Coverage of major roads in more built up areas, such as the M25 and M62 is greater than 80%. The ongoing investment forms part of EE’s plan to offer a superfast digital network in the places customers want it the most, recognising the increasing need for a reliable, high-speed data connection on the move to support in-car navigation and passenger data usage. By enhancing the 4G network on the busiest roads in the UK, EE will allow business customers to remain productive on the move. A programme is in place to cover the busiest motorway service stations, completing the connected journey. EE will double the footprint of its unique, high capacity network to 40 towns and cities by the end of the year, allowing millions more customers to enjoy the UK’s fastest speeds, and targeting the parts of the country where data usage is showing the quickest growth. EE’s double speed network ensures that its customers are guaranteed the best mobile experience, whether that’s downloading large files, uploading images or streaming video. 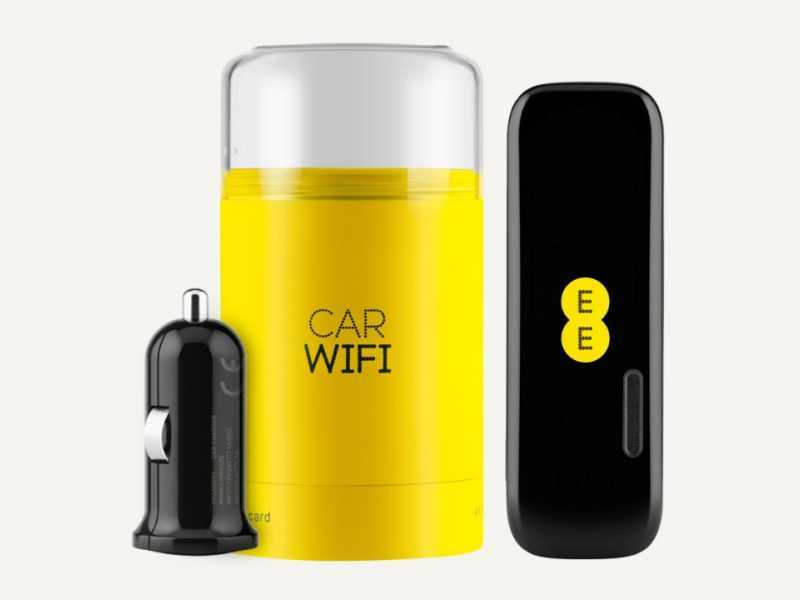 · The UK’s first 4G car WiFi – the ‘Buzzard’ is the first in a series of superfast in-car devices available direct from EE. The simple and affordable plug-and-play device (only £49.99 on PAYG) will enable any car with a 12v connection to instantly become a 4G WiFi hotspot for up to 10 connections, and avoid the need for expensive in-built solutions. It also comes in a unique storage container designed to sit conveniently in a cup holder. 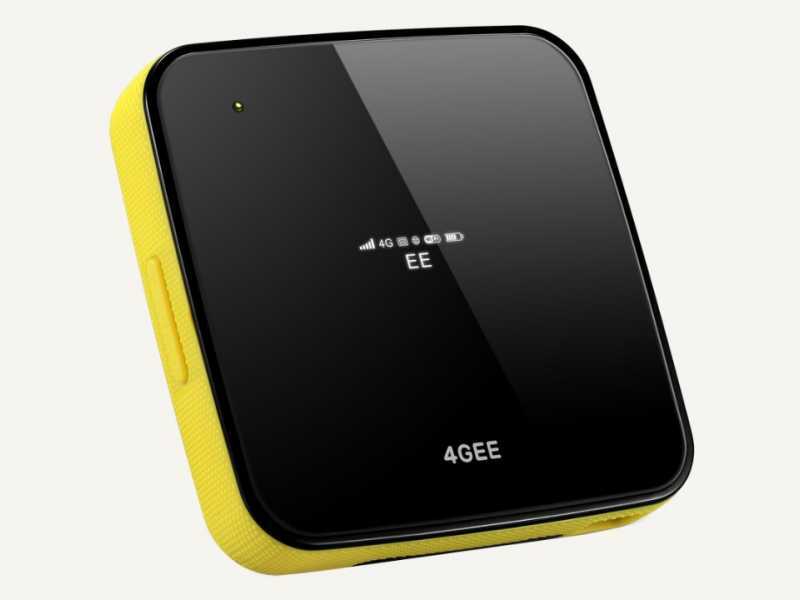 · Superfast 4G for work and play – EE is introducing two new 4G WiFi devices optimised for EE’s double speed 4G network. For busy professionals a new sleek pocket-sized premium device called the ‘Kite’* (£69.99 on PAYG); and for a younger audience, the UK’s most affordable 4G WiFi unit – the colourful and rugged ‘Osprey’ (only £49.99 on PAYG). · The UK’s most affordable 4G tablet – with the ‘Eagle’, an Android tablet offering specifications and features traditionally associated with more expensive devices for just £199 on PAYG or £49.99 on 24 month pay monthly plans of £15 and above. In support of the new devices, EE is also introducing the UK’s best value set of 4G WiFi plans. A new range of 24 and one month plans will be available, offering a variety of data allowances for unparalleled value and choice. New plans for small businesses will also be available. The Buzzard, Kite and Osprey will be available on EE’s Shared plans, as well as the new 4G WiFi pay monthly plans, and are free on 24-month plans of £15-per-month and over. Video usage on the EE network has risen significantly in recent months, and early findings from EE’s latest Mobile Living Index[i] reveal that the video experience is now as important as making calls and web surfing for 4G customers. Video and TV are expected to increase data traffic 1100% in the next four years, and will be more than two thirds of data on the network by 2018. To meet growing customer expectations, EE is putting the video experience at the heart of its network plans, ensuring content owners can give customers a reliable, high-quality, user experience. On the 20th May, Minister Ed Vaizey announced the launch of the Mobile Video Alliance (MVA), founded by EE and run by the Digital TV Group (DTG), which represents the UK’s broadcast industry. The MVA connects broadcasters and content owners with mobile operators for the first time to create the best possible experience of mobile video apps. Broadcasters have mastered content delivery in the home, to the web, and now they’re focusing on the third axis – mobile platforms. EE has also embarked on a programme for selected video and TV content owners, who desire an optimum user experience for their customers over EE’s 4G network. For example, work with the BBC iPlayer team has already seen significant improvements for their customers on the speed of programme load times.